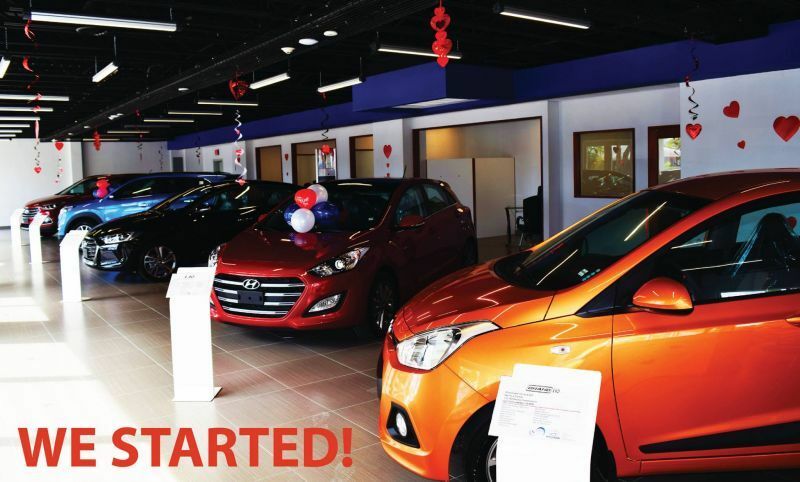 ROAD TOWN, Tortola, VI– The newest auto sales dealership in the territory, Tortola Auto Group (TAG), formally opened its full service auto centre, parts and accessory store at the company’s Slaney Point location, opposite Prospect Reef, as it continued its phased launching of auto dealership services. 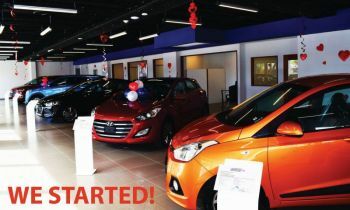 “TAG is truly a one stop shop from vehicle sales to repairs, mechanical parts and accessories for all makes and models,” said Ms Patricia M. Romney, who noted that there have been several inquiries made about the service centre ever since operations opened in November last year with car sales services. She said that TAG offers comprehensive auto repair services that include general services, car and truck care, under car services, brakes, engine and transmission services, heating and cooling services, and electrical services. Additionally, she said TAG has on-site, a fully-equipped spray booth and body repair section. Romney said trained and qualified personnel with years of experience in the auto industry using the newest technology undertake all repairs and servicing and that TAG is also willing to work with customers to find cost-effective repair and maintenance alternatives. She noted that persons accessing the services will be met by the TAG TEAM, a customer relationship programme the company has adopted. “Our service centre is a modern state-of -the-art facility capable of undertaking repairs for safari taxis, large buses, commercial trucks, pick-ups, SUVs and cars. We have both fixed and mobile stations which allows us to maximise our efforts and reduce waiting time for our customers. Our goal is to offer the best services available on island at affordable prices to get you back on the road in no time,” Ms Romney stated. According to the Managing Director, the company is in consultation with the Ministry of Education and Culture to open up the service centre facilities to the Virgin Islands Technical School for after-school training and practical class sessions. “One of the central missions of TAG is to play an active role in shaping the best future possible for these Virgin Islands. Part of our commitment is to ensure that young persons who have an interest in the auto industry receive access to the best facilities and modern equipment on island. This is why TAG’s facility is so important. The auto industry is quickly changing and as a Territory we must keep up,” Ms Romney stated. In addition to the service centre, TAG also announced the introduction of its full service mechanical and accessory parts store. Ms Romney explained that this will help alleviate persons having to travel to neighbouring islands to access parts and better pricing. “Through our strategic partnerships we are able to offer competitive pricing from the widest range of mechanical parts from the most trusted brands in the industry. We know the difficulty persons have experienced for several years sourcing parts here in the Territory and sometimes they are forced to wait for extended periods for a part to be delivered; however, TAG has the capability of sourcing a part not in stock within days. We understand how important your auto needs are,” Ms Romney said. TAG will continue with the full roll out of operations in the coming weeks with the grand opening ceremony planned for April, 2016. Does the service facility offer balancing and rotation of tires and also computerized car alignment ? do you work and are as qualified as well as your mastery of the English language? Get with the program and show what you can add to an establishment and our nation other than 'just' your passport. Moreover, Congratulations! to TAB for all their efforts to bring more services & selection to the Territory. "do you work and are as qualified as well as your mastery of the English Language?" People in glass houses should not throw stones!!! why am i even arguing with a dunce who has no idea about the principles of economics. Look who is trying to correct someone. Did you review before posting? How do you know what passport the person has? I guess you assumed? Alignment would come with a 20-20 guarantee. 20 seconds or 20 feet, given the poor condition of the roads here. CHECK WITH RUFUS SLEEPY MAOLNE AT SKELTON UP FISH BAY HE IS THE BEST ON ISLAND. He is the only expert on island. 1) BVIslanders do not want to work and not have the skill set for these jobs. 2) The owners are BVIslanders and are smart enough to get Filipino workers who are qualified AND will work for less. The truth hurts. I am impressed by what this company is doing. Giving our youth access to your facility will help to encourage them. I am looking forward to visiting your part store. I can see the BVI finally catching up. I've noticed that another race is taking over the BVI slowly. BVI need expat workers. We wish to see Caribbean expats but many come here with combative attitudes and no customer service skills. That's why some employers prefer to hire "another race"
Expat workers need BVI. It is about the only country which export money only? The Same thing in the United States, the Mexicans and Middle Easterns are taking over. Oh and if your oil is too low we sell longer dip sticks. Tolians are fast becoming extinct in their own country. This all looks very nice but I wish they sold a better car company. You need to research the car company and let us know what you find. It may not be the most popular here yet, but it I will be soon. They sell Audi too baby - want better than gat! Audi is a good brand, but what I'm saying is that Mercedes are better - its common knowledge. And TAG couldn't bring in Mercedes if I wanted it - they would not have technicians with the correct qualifications and wouldn't be able to offer any warranty.